An exhibition of collaborative works, correspondence curated by Taeyoon Choi. 카일 맥도날드: 우리는 같은 표정을 하고 있다. 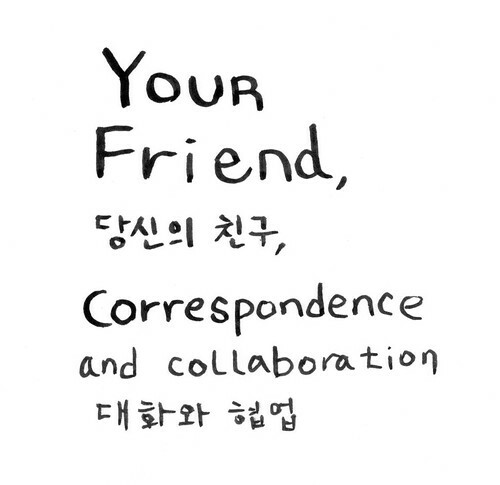 Correspondence and collaboration by Taeyoon Choi and friends. 당신의 친구, 대화와 협업: 최태윤과 친구들.